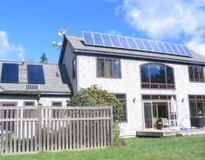 SunDog Solar @ SOLAQUA is a full-service consultation and installation company offering residential and commercial renewable energy systems and services that help consumers improve energy efficiency, reduce energy spending, and increase building performance. From design to installation, SunDog Solar is a leading source for solar electric systems, solar hot water systems and spray foam insulation. 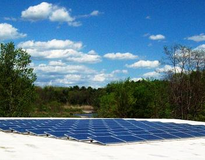 We produce our electricity from 127.6kW pv system, generate hot water from solar thermal collectors, and heat our facility with a vegetable oil boiler utilizing fryer oil collected from local restaurants.